Marty Baker: What do payers and providers need to support planning for anticipated LTSS growth? Jean Sullivan shares her thoughts on the potential rescission of awarded waivers. Marc Thibodeau discusses Medicaid block grants and per capita caps. Terry Dougherty: how block grants are not necessarily a new idea in health care financing. 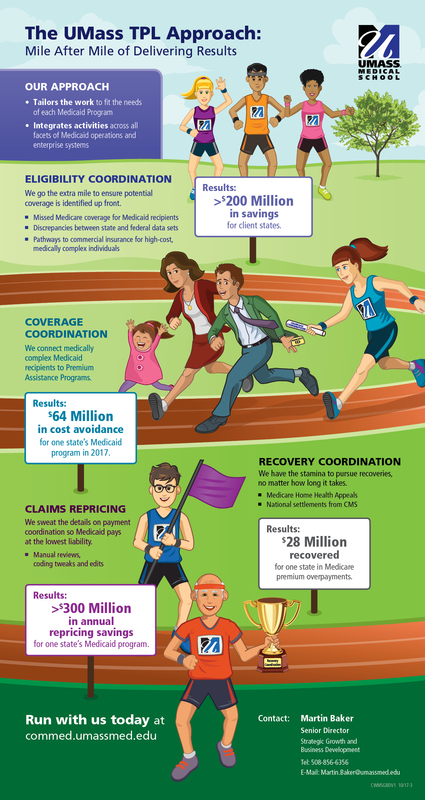 This poster highlights the results of a UMass Medical School partnership with MassHealth, the Massachusetts Medicaid program, to integrate third party liability activities across all aspects of the Medicaid program. We work with managed care organizations to ensure members with multiple, complex health issues receive the high-quality, cost effective care required to qualify for federal incentives. 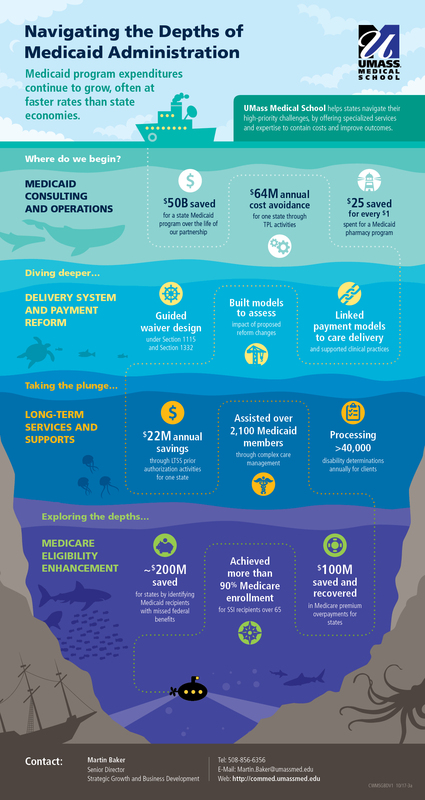 Our experts help states develop innovative financing strategies, such as bundled and global payments, pay-for-performance, and shared savings arrangements. We analyze financial, legal and policy implications, including federal compliance requirements. We have developed Star Rating enhancement services that focus on key criteria used to measure Medicare plan performance. Our data management solutions ensure state agencies and health care organizations have access to quality data for analysis and policy development. Crafting health policy requires a multifaceted approach, including data analytics, legal analysis, finance, and economics. We offer policy consulting by a team of seasoned health care experts. We have particular expertise in guiding states through the process of obtaining and implementing section 1115, 1915(c) and other waivers. We are well equipped to assist in developing ACA section 1332 state innovation waivers.